Give your students the most comprehensive, thorough education on radiographic interpretation! Speifically tailored for the dental hygienist, this text arms your students with the skills to recognize and accurately interpret radiographs. 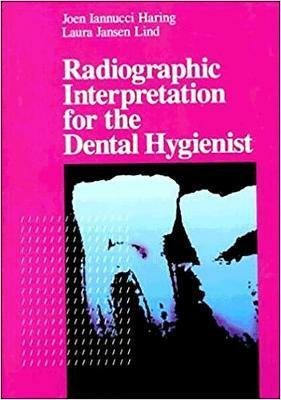 Unique in its depth and breadth of coverage,, RADIOGRAPHIC INTERPRETATION FOR THE DENTAL HYGIENIST uses line drawings and dental radiographs to illustrate restorations, dental materials and foreign objects, dental caries, periodontal disease, trauma, pulpal and periapical lesions and more. Also covers film mounting and viewing, film exposure, processing, and technique errors. Heavily illustrated sections strongly emphasize normal anatomy on periapical and panoramic films - so students will easily recognize abnormalities! The importance of dental radiographs and interpretation; descriptive terminology; normal anatomic structures of periapical radiographs; normal anatomic structures of panoramic radiographs; identification of restorations, dental materials and foreign objects; dental caries; periodontal disease; trauma, pulpal and periapical lesions; film exposure, processing and technique errors.